China's outbound travel market will become an important driver for global growth, with imports of travel services expected to reach over 1.4 trillion U.S. dollars in the next five years, according to a Ministry of Commerce report released Tuesday. Chinese tourists are expected to make 700 million outbound trips in the next five years as the country's consumer power grows, said the Report on China Services Import, released at the ongoing China International Import Expo (CIIE) in Shanghai. It was the first report on service imports issued by the Chinese government. Since 2012, China has been the world's biggest spender on outbound travel for 6 consecutive years, with the consumption of Chinese tourists reaching nearly a fifth of the total global travel revenue last year. 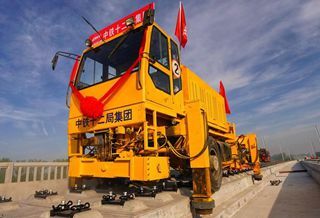 "China's services import has not only met the needs of the Chinese people for a better life and facilitated domestic industrial structural transformation and upgrading, but also brought new opportunities for global trade growth," the report said. Since 2012, China's service imports contributed 25.8 percent to the growth of global service imports, the report said. China announced Monday at the CIIE that the country's imported services are estimated to exceed 10 trillion U.S. dollars in the next 15 years.